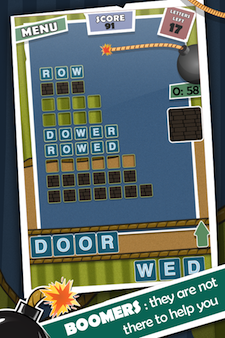 Filling up the entire board is not required, but keep an eye on your "letters left" counter. If the counter does not reach 0 by the time your bomb goes off, you will not advance. 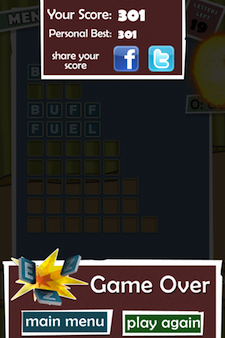 Word Boom was developed by the custom mobile development team at Rocket Tier LLC. Rocket Tier is a mobile development company located in San Antonio, Texas. Our goal is to help you expand your business by creating quality phone apps that can change the way you interact with your customers. With just a tap of a finger, your customer can instantly be connected to your business. "For those bored with scrabble or word with friends, this app takes it up a notch and will blow you away"
"Like a shot clock for words with friends." 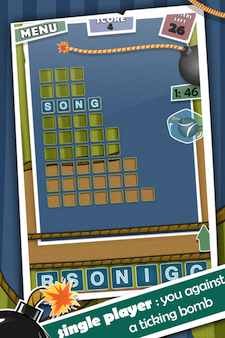 "This is what game apps are supposed to be about... addictive, fun and exciting." "Very simple but addictive game. 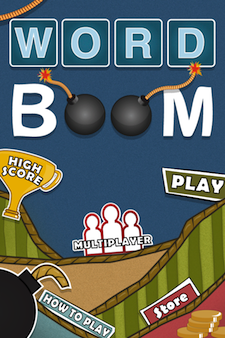 The time bomb adds more fun and excitement by including an element of urgency."